Composting 101: Tips for Growing a Glorious Garden! Composting is one of the easiest ways you can reduce your household waste and contribute to the betterment of the environment. With landfills filling at the rapid rate they are, finding ways to limit waste is becoming even more important and necessary, especially in larger cities where populations are extremely high. Currently, the United States produces around 230 million tons of waste each year, totaling about 4.6 pounds per person, per day. Composting could help reduce one third of this waste in landfills. The benefits of composting are not solely left to the environment, however. Composting is beneficial to your household because it requires little to no money and helps you stick to your frugal budget. It also gives your family the health benefits of eating fresh, organic vegetables grown right in the backyard. Families can also grow closer by spending time in the yard taking care of the garden and watching seedlings sprout together. Starting your compost pile is as simple as eating a healthy dinner. After you’ve made the meals for the day, collect all the food scraps into a bin. 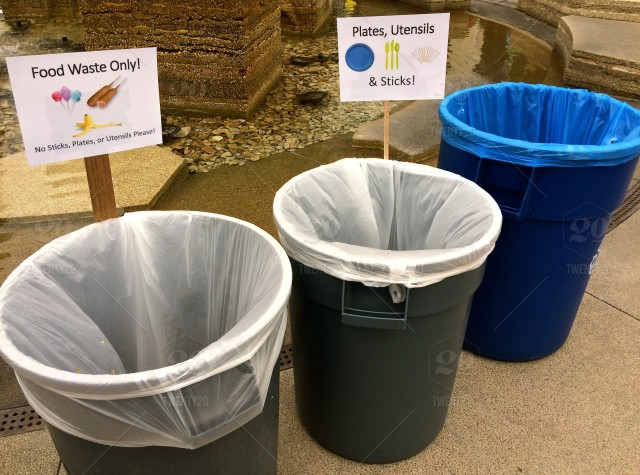 Be careful that you are selecting the proper compostable materials. For example, some food materials that are easily composted are fruit and vegetable matter, eggshells, coffee grounds, tea bags (in or out of the bag), stale bread and grains. One of the benefits of eating vegan is the amount of compost that is created daily in your normal eating routine, so consider serving more vegan meals while you build your compost to help speed up the process. Creating a compost is all about balancing the materials that you are adding to it. The general rule is to have equal parts green and brown matter. Green matter would be all of your food shredding listed above and grass clippings. Brown materials would be things like shredded newspaper, wood clippings (modestly), leaves and cardboard. Green materials are high in nitrogen and brown materials are high in carbon; both are necessary in the production of healthy compost. When you begin to build your compost, there are a few tips you want to remember before simply piling everything into a bin and closing it. First, you want to choose a bin that provides enough airflow to keep your compost from becoming too smelly. You can use plastic or metal trash bins if you drill holes throughout. Building composting bins out of 2x4s is another option. Next, you want to be sure you are adding your materials in a manner that allows for maximum decomposition. Start by placing your bin in the soil you plan to add compost to, as this helps begin the process of mingling microorganisms in the soil and the compost. Then, you will add some natural soil to the bottom of your bin. The microorganisms present in the soil will spread throughout your compost and speed up the process of decomposition. You also want to be sure to mix some fertilizer in with the compost when you begin to increase the presence of healthy bacteria. Then you want to begin layering in your products to maximize airflow. Build your compost from a stack of hay to help moisture reach the bottom of the pile. Then, begin layering in your green and browns with thin layers of grass clippings every couple of inches. By layering the items, you are increasing the likelihood of balanced nutrients, airflow, and moisture — all elements that are crucial to your compost. As you continue adding layers to your compost, you will begin to notice the materials breaking down. This is a good sign, but you want to keep this progress going by continually checking on and adjusting your pile. One of the biggest problems with keeping compost is the stinky smell generated by it. Keeping your compost healthy will help eliminate the odor and appease your neighbors. Air is one of the most important elements in your compost. Airflow will help the process of decomposition as well as help with the stink. Every few days or once a week, take a pitchfork to your compost pile and turn it up, mixing it around as you go. This helps create pockets of air in previously settled compost to help the production of beneficial bacteria. You also want to add moisture to your compost as you air it out. Be careful not to soak your compost. You want the material to be moist, not wet. Some tips for adding the proper amount of water are using items like liter soda bottles with holes drilled into it to avoid severe dampness. Add compost maintenance to your morning routine for a healthy kick-start to your day. Make going out in the back and checking on and adjusting your compost part of your weekly routine. Your nightly routine can be scouring the house for compostable materials and adding them to the mix. When your compost has completed its process of decomposition (usually 4-6 months after starting), you are ready to add it to your garden. You know it is ready when it looks and smells like rich, dark, healthy soil. You shouldn’t be able to immediately recognize any of the materials you added to it in the last few months. Take your fresh compost and add in layers throughout the gardening space you hope to use. Allow the compost to sit in the soil before you add your plants for a couple of weeks. This allows the microorganisms in the earth to mingle with the microorganisms in your compost and work together to create a healthy foundation for your garden. 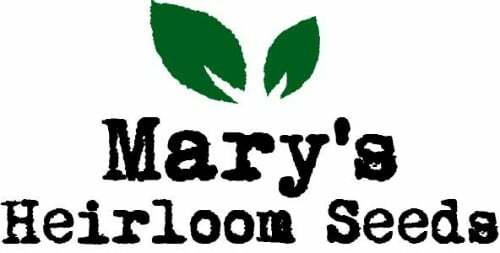 Be sure that while your compost sits in the soil, you are preparing your plants for seeding. Find the environmentally friendly method that works best for you to grow seedlings, whether that is in empty eggshells, egg cartons, or juice boxes. When your seedlings have popped through the soil, they are ready to be planted. There is no wrong place to grow your garden. 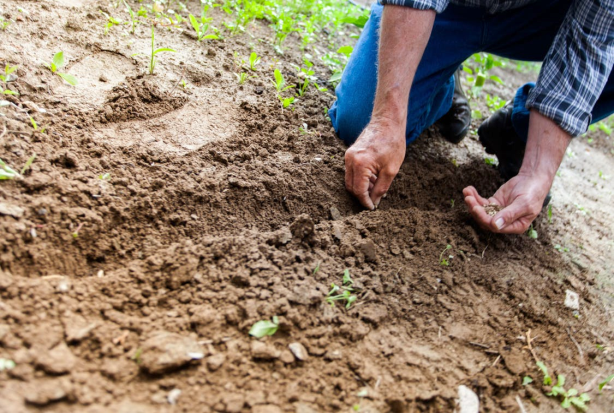 Grow your garden in a fresh patch of soil in your backyard. Grow your garden from an old over-the-door shoe rack. Start your garden on your ceiling and let it grow down to you. Take advice from a Brooklyn farmer or an urban gardener about starting your garden in the most unexpected of places. Now that you have begun the journey into gardening, you are ready to maintain your garden and keep it flourishing. Continue adding items to your compost bin and aerating it frequently. Compost can continually be added to the base of your plants to keep them nourished and revitalized. ** Be sure to avoid using animal feces on plants that you plan to eat. This can spread bacteria in your garden and lead to inedible veggies. Once your plants begin producing vegetables, you can start using the organic products in all your cooking. 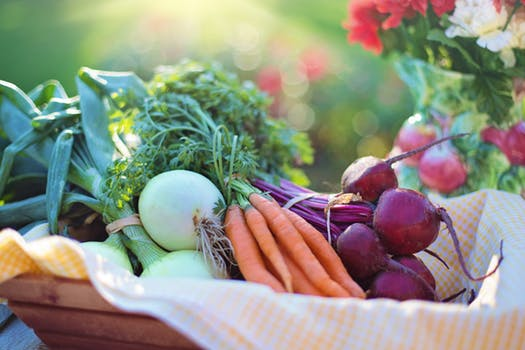 If you notice that your garden is so healthy it is producing more vegetables than your family can eat, consider delivering gift baskets to neighbors or looking for recipes that are easily frozen. Take the next step toward a smaller carbon footprint today and begin your compost from leftovers in your fridge and old plastic bins. You will be happy you made the shift to a greener lifestyle, and the Earth will thank you! Author bio: Kelly is a writer from Boise Idaho. She enjoys exploring the outdoors and hiking with her dog, Cassius. Professionally, she writes online content regarding lifestyle, health, wellness, and millennials. In her spare time she writes captivating fiction and confusing poetry. Follow her on Twitter @kellyshep14! My mother is a garden lover, I will share these tips with her for garden makeover. Glad to hear that my tips will help you Mother make over her garden. Thanks for stopping by and commenting. Have a healthy, happy & blessed day! Your quite welcome and thanks for stopping by and commenting. Have a healthy, happy & blessed day! You’re very right. Composting it sooo important to a good garden. 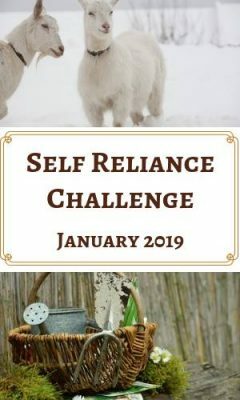 Thanks for sharing on the Homestead Blog Hop. Can’t wait to see more this Wednesday. Yes composting is important to a nutrient dense garden and growing healthy plants and flowers. Thanks for hosting Homestead Blog Hop. Have a healthy happy & blessed day! These tips are awesome. I was looking for some tips to accomplish a complete makeover of my garden. This one saved my search. So glad you liked my tips and good luck with making over your garden. Thanks for stopping by and commneting. Have a healthy, happy & blessed New Year!